If you’re new to credit there’s nothing for you to feel bad about. Perhaps you’re just graduating from college or maybe you think you’ll soon by buying a home and need to have good credit in order to get a mortgage. Regardless of your situation, it’s important to get started right with your credit. To do this, you need to know the fundamentals. For example, if there’s not enough information about you to generate a credit score you’ll have what’s known in the industry as a “thin file.” This means you will be unable to pull your credit score because you basically won’t have one. However, there is some good news. When you do have enough data to produce a credit score it won’t start at zero. In comparison with what some people might tell you, if you have a little or practically no credit history – as opposed to a bad credit history – your initial score will be somewhere in the middle. This is because at this point you’re given the benefit of the doubt. Beyond this, there are four things you should do that will help you take full advantage of this benefit. While you may not have done much in the way of credit, this doesn’t mean your credit report is blank. These reports are very long and include a lot of information beyond your credit data. For example, it will include personal data such as your birth day, address and employer. So before you start working towards a great credit score, you need to review your credit reports to make sure that information is correct. There are three credit-reporting bureaus – Experian, Equifax and TransUnion. 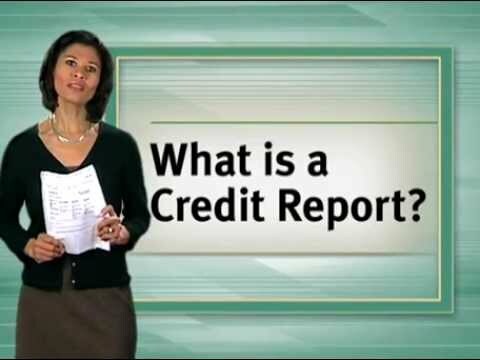 You can get your credit reports free once a year from each of them or on the website www.annualcreditreport.com. You will need to get all three of your reports because the credit bureaus do make mistakes and the information in your three reports will likely be different. The reason for this is because lenders are not required to provide credit information to all three of the credit bureaus or even to one of them. If you use credit cards responsibly, they can be a great way to build credit. It’s best to begin with a card that fits your needs. If you’re still in college, apply for a student credit card. These are designed for young people who generally can’t get a high-end rewards credit card. But there are student credit cards that do provide cash back or rewards. You might check out Capital One’s Journey Student Rewards credit card or the Discover it for Students card. Second, if you have a poor credit score or a thin credit file, think about getting a secured credit card. The way these cards work is that you make a cash deposit that serves as your credit limit. This is generally between $300 and $500. They are low risk so can be very good if you’re just starting out. If you want to begin establishing credit it’s important to pay your debts on time consistently. A good way to do this is to make a small number of purchases each month with that first credit card. Be sure you pay off your balance on or before your due date. Do this for about six months and then try for a second credit card. Did you begin with a secured credit card? Then wait six to 12 months and then try asking the credit card provider if it would be willing to convert you to a regular card. Make sure you use that second card as sensibly as you did your first card. If you start using credit sensibly, you should see a positive impact on how credit worthy you are. How do you determine that? You will need to get your credit score. It’s that little three-digit number that essentially boils down your credit history, making it easier for lenders to know whether they should extend you credit. While no one but the company FICO knows the exact algorithm that’s used to compute your credit score, it is known that it is based on five components. Payment history is just what you would imagine it to be – how well you have made your payments in the past. Length of credit is basically how long you’ve had credit. Types of credit used are just that. Credit utilization is a bit trickier. What it really boils down to is your debt-to-credit ratio or how much credit you’ve used versus the amount you have available. As an example of this, if you have $5000 in available credit and have used up $2500 of it, you would have a debt-to-credit ratio of 50%. Experts in this area say this would be much too high and that your ratio should be 30% or less. As you can see from this, the two most important components of your credit score are your payment history and credit utilization. In other words if you want to have good credit, you need to have used credit sensibly and utilized as little of your available credit as possible. When a lender checks your credit score, it generally views it in ranges as follows. 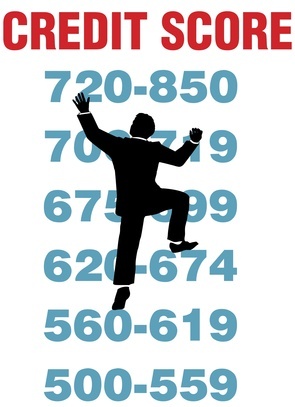 There are several ways to get your credit score. You could get it from one of the three credit-reporting bureaus or on the site www.myfico.com. If you choose to get your score from one of the credit bureaus, make sure that you don’t have to sign up for a trial subscription to its service where you would be charged later in the event you forget to cancel it. You can also go to a site such as CreditKarma.com or CreditSesame.com where you can get your credit score free from one of the credit bureaus without having to commit to a trial subscription. Plus, these two sites offer a wealth of other information about your credit beyond just your score. This could be how much you owe on each of your credit cards, the history of your credit score (presented as a graph) and even the amount of your mortgage and your auto loan – if you have one or both of these. CreditKarma will even show you which credit card you should have for the best rewards rate and how much cash back you could earn in a year on new purchases. It’s important to remember that it’s much easier to build good credit from the first than to reestablish credit after you have made some financial boo-boos. What you don’t want to have in your credit reports are such negative items as late payments, charge offs and defaults as these will damage your credit score for as long as seven years. But if you learn good credit habits now, this can ensure a good financial future for years to come.